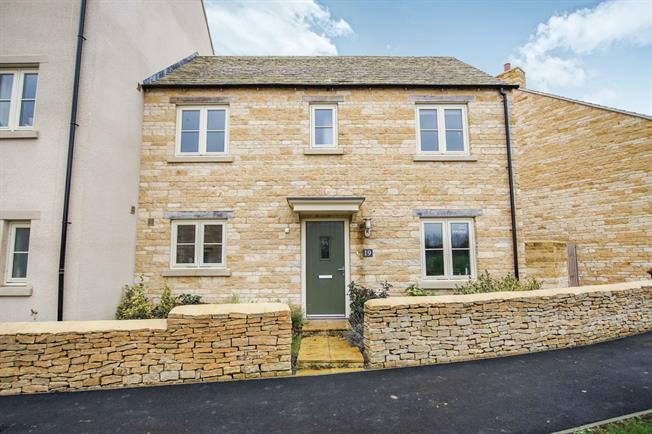 3 Bedroom Semi Detached House For Sale in Tetbury for Offers Over £310,000. Two year old semi detached property was designed as an "Avening Style" which comprises the following accommodation: entrance hall, cloakroom, kitchen/dining room with patio doors onto the rear garden, sitting room with patio doors onto the garden. To the first floor there are 3 bedrooms (master bedroom has en-suite shower room), 2 further bedrooms and family bathroom. There are views from the front overlooking the green area. The garage is located to the rear of the property.